Brown, David. 2018. 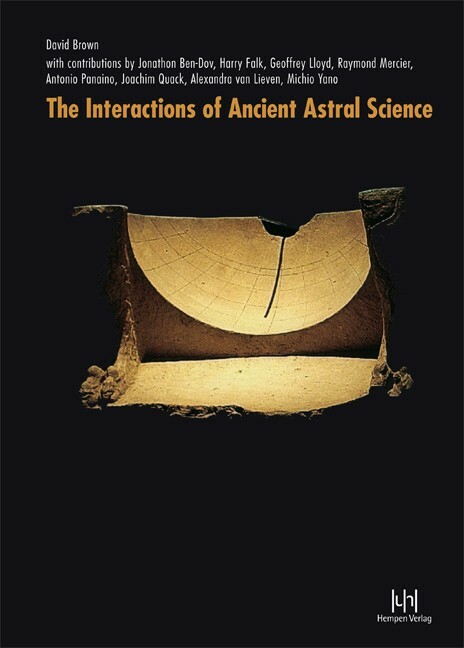 The Interactions of Ancient Astral Science. with contributions by : Jonathon Ben-Dov, Harry Falk, Geoffrey Lloyd, Raymond Mercier, Antonio Panaino, Joachim Quack, Alexandra von Lieven, and Michio Yano. Bremen: Hempen Verlag. Panaino, Antonio. 2018. On Iran’s Role in the Transmission of Ancient Astral Science and the Ramifications thereof. Pp. 482–514. Kotyk, Jeffrey. 2017. Iranian elements in Late-Tang Buddhist astrology. Asia Major 30(1), 25-58. Overview of the history of Chinese Buddhist astrology with a special focus on Iranian elements in the Qiyao rangzai jue 七曜攘災決. Panaino, Antonio. 2014. Sidera Viva. Studi Iranici di Storia della Mitologia Astrale, dell’Astronomia e dell’Astrologia Antica. (Ed.) Andrea Gariboldi, Paolo Ognibene & Velizar Sadovski. . 2 vols. Milano: Mimesis. This comprehensive two-volume set is a collection of the wide range of articles and short writings written by Antonio Panaino during last decades. The articles are already appeared in academic journals and collected volumes, often not easily accessible to a wider audience. These studies are all dedicated to the different areas of research developed by the author, in particular on the history of ancient Iranian as well as Zoroastrian astral mythology, astronomy and astrology, from the earliest period of Indo-Iranian and Iranian history through the late antiquity up to the High Middle Ages as well as early Islamic era. Antonio Panaino is professor of ancient Iranian philology and hitory of religion at the University of Bologna.